If you are paying back student loans, you are not alone. Over 40 million Americans are repaying more than $1.2 trillion in outstanding student loan debt. Significant debt can have a domino effect on the major choices you make in your life: whether to take a particular job, whether to move, whether to buy a home, even whether to get married. For many of you, student debt stress makes these big milestones seem out of reach. We’ve heard that some student loan servicers (the company that sends you a bill each month) may be adding to that stress. We’re seeking information from the public about the student loan servicing practices that may make it harder to get ahead of your debt. We want to hear from you about your experience with your student loan servicer. 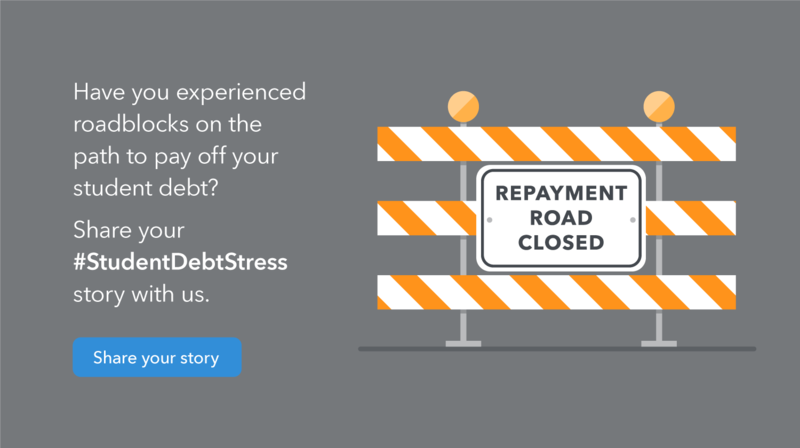 If you’ve run into roadblocks, tell us about it – for example, we want to know if you’ve had payment processing problems, servicing transfer snags, communication confusion, or any other challenges when repaying your student debt. Simply click this link to send us an email, which will be included in the public record. Please don’t include sensitive information like account numbers and social security numbers. We’re accepting comments through July 13. In the infographic below, you can learn more about roadblocks some borrowers have encountered when dealing with their student loan servicers. We’re also calling on other stakeholders, including financial institutions, colleges, consumer advocates and policy experts to share their feedback. A full list of questions we’re asking the public are available in our Request for Information. In the next few weeks, we encourage you to check back for more information about our work to strengthen student loan servicing and to hear the experiences of others with student debt. Be sure to tell others about the chance to include their stories in the public record. Spread the word to friends and family with student debt stress using #StudentDebtStress on social media, but remember you must click this link to email an official comment. If you have questions about repaying your student loans, check out our Repay Student Debt feature of Paying for College to find out how you can tackle your student loan debt. If you have a problem with your student loan, you can submit a complaint online or call us at (855) . Having trouble with a link in this blog post? You can also submit an official comment online.